Manchester has been named the piracy capital of the UK, according to a new study seen exclusively by the BBC. The research said there were more illegal downloads per person in the city than any other in the country, followed by Nottingham and Southampton. The statistics, from monitoring service Musicmetric, conclude that in the first half of 2012, UK users illegally shared over 40 million albums and singles. An industry group said the data showed piracy "remains a significant problem". The data, collected independently by Musicmetric and seen exclusively by the BBC, is believed to be the biggest analysis of its kind to be conducted. It monitored the global activity of BitTorrent files - a method of obtaining files by downloading from many users at the same time. The data's release came as measures to attempt to curb illegal downloading began to take hold, such as the blocking of popular piracy websites and the relegation and removal of search results from Google. Musicmetric's findings said that singer Ed Sheeran was the most pirated act in the UK for the first half of 2012, followed by hip-hop duo Rizzle Kicks and Barbadian megastar Rihanna. The data suggested that Ed Sheeran's 2011 album + (Plus) was illegally downloaded an average of 55,512 times every month, and was the most popular download in over 460 towns and cities in the UK. Legal UK sales of his album in the first half of 2012 hit the 448,000 mark - making it the fourth most popular album behind releases from Adele, Emeli Sande and Lana Del Rey. Globally, the research suggested that the UK is a significant player on the world stage as a country of illegal music downloaders. The country was placed second in the world in terms of pure volume of illegal activity, with Musicmetric logging 43,263,582 downloads in the first six months of this year. The US topped the list, with 96,681,133 downloads tracked in the same period. made up the remainder of the top five. Rihanna's latest album - Talk That Talk - was found to be the world's most pirated release - Musicmetric tracked 1,228,313 downloads for the title in the first half of 2012. 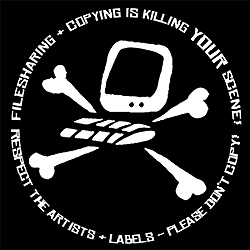 Loz Kaye, leader of the Pirate Party UK - who will be attempting to become Manchester's next MP in the next election - said the complaints of record labels is "protectionism". "We need to remove the barriers for actual artists to connect with their business and their fans," he told the BBC. "The truth is, why [music industry figures] are complaining so much is that with a properly functioning internet, and a properly functioning economy, the big players are no longer necessary."